Mainstream usage of GPS (or Global Positioning System) has increased dramatically over the decade and is now widely available in most of the smartphones. But I guess this statement suits most of the today’s technology features seen is smartphones. Long gone are the times when you needed to buy an expensive standalone GPS module to be able to navigate in car travel, hiking or when sightseeing in a foreign country. However, all is not as good as it sounds. Yes, GPS chips are being installed in most of the phones, and they will be able to provide you with reasonable guidance in perfect conditions. In short: will serve well the many hipsters who need to find their route to that cool recently opened coffee shop in town. They do not look to buy their phone primarily on how-good-is-the-GPS criterion. Plus if they did not have any GPS in their smartphone – no problem. Quite the contrary – they’d look even more hipster navigating with an actual old-school map in their hands. You however are an entirely different case. GPS integration is one of the (if not THE SOLE) most important features of your smartphone. Whether you are a hiking enthusiast, road-tripper or an UBER driver you rely on your GPS navigation a lot and thus only the best of the devices can satisfy your needs. In the few paragraphs below I will cover basics of satellite navigation, specifics of technology used in today’s smartphone and the main criteria which will help you to decide on what phone to get for your gps navigation needs. How satellite navigation works and what systems are available? Let’s cover the basics! GPS (or Global Positioning System) is a network of satellites orbiting around earth as a system. They re designed to work in such a way that at any given moment there are at least 4 satellites visible from any point in the world. Why 4? This appears to be the number of satellites needed which send data to a GPS receiver in order to solve equations for precise details of your position – longitude, latitude and altitude. There are cases where less satellites are enough – if you’re into math and want more technical details, read this paper by Richard B. Thompson. Even though the system aims to cover the whole Earth with their satellites, there are cases when this is not possible. That’s where the Russian and Chinese heroes of the next paragraphs step in. An equivalent satellite network operated by Russia and called GLONASS is increasing in popularity within the smartphone market. This serves as an addition to the GPS network with their 24 satellites. Many recent smartphones will support GLONASS for navigation which increases the coverage and lock in times. However it is still being used only as a backup and glonass chip is only activated when enough GPS satellites could not be located – all for energy saving purposes. Also referred to as BeiDou is a navigation satellite system originating from China having another set of publicly available satellites. It’s becoming more and more popular in latest smartphones similarly as GLONASS – as a backup to the GPS. Qualcomm Snapdragon chipsets have this functionality starting from earlier 805 models. You can also find latest MediaTek chipsets supporting them as well. “A” stands for Assisted. Assisted-GPS essentially is a more sophisticated and efficient way of using GPS tracking. How different is it from the conventional GPS? It uses cellular data which requires significantly less energy to determine an approximate location of the device (downloaded from A-GPS servers by the network operator). Response time is usually faster and in combination with real GPS makes navigation smooth and enjoyable. However major drawback of A-GPS is it being dependent on mobile data, hence real GPS always comes first when it comes to providing location services on user demand and especially in remote areas and rough conditions. How to tell which phones have better GPS? Deciding which smartphone will give the best GPS experience is quite difficult by only looking what’s on paper. Partially because you will hardly ever find any information about model or make of GPS chips that are in the phone. There’s a general tendency that Qualcomm Snapdragon latest chipsets provide the best GPS experience. Generally, if you go with Snapdragon 820 (or 821) and above you will get the most for your buck. It is however important to mention that Snapdragons chips are rather power hungry. So if you are going to use your GPS functionality for longer periods of time – take care of a backup energy source or stay plugged in if possible. Of course as with all the technology you cannot fully rely on technical specs and parts so it is always a good idea to look for some reviews of your desired model to avoid cases when same chipset possessing smartphones provide drastically different GPS performance. Such cases do happen, but they rise to the surface very soon and with are easy to spot even with little time spent on research. Screen size is a very subtle topic. Preference here is highly dependent on taste. I prefer phablet size phones of 5.5” and as market indicates by offering more and more phablets – so do others. I believe having a large screen is especially convenient for navigation in car travel (Uber drivers will agree here). Of course it has to be paired with decent resolution of the screen – ideal for such screen size would be 1080×1920 and above. For hiking and other use cases when the mobile device is being held in hand a smaller size might be a better option. This section only applies for hikers, climbers, adventurers and those who use their smartphones in wet or extreme conditions. Those who are using their GPS smartphone for car travel or Uber would not care about the phones ability to withstand drops, being submerged in water or having great battery. For resistance to wild environment look for rugged smartphones, they will have either IP68 (could get away with IP67 as well) or MIL-STD 810G protection and will be virtually invincible from most of what could happen to them out there. Sometimes having an indestructible phone can be lifesaving – especially when you are in the middle of nowhere and need that GPS guidance desperately. Additionally, I suggest to consider going for greater battery capacity or investing in a power bank. Since establishing and keeping a connection with satellites requires a lot of energy, when using navigation for prolonged period of times you will find your smartphone running out of juice at a much faster rate than usual. Navigation can drain even the largest battery in a few hours. Of course there are phones such as Oukitel K1000 boasting a terrific 10,000mAh battery – which also is a decent option when you consider the below $130 price tag. Best advice here – have an idea of how long would you require your GPS without charge and choose accordingly. 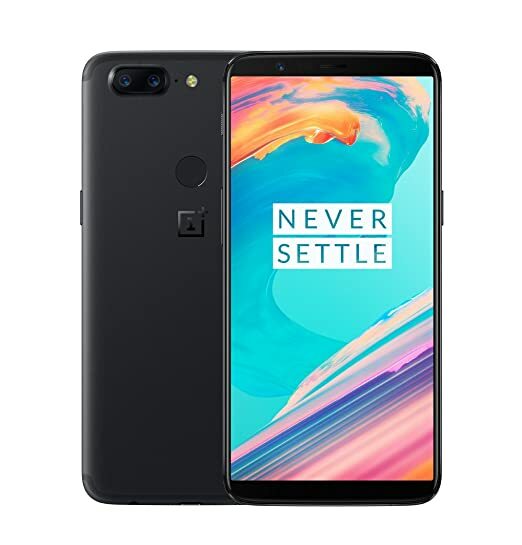 It is no accident OnePlus 5T has been nominated as “one of the best deals in the market” early 2018 by Max Parker from TrustedReviews.com. 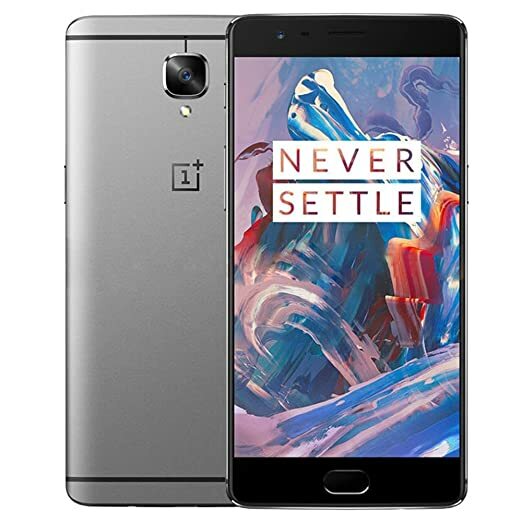 It has completely replaced its predecessor OnePlus 5 after just 5 months of release. Essentially it has same internals, but got a decent facelift. Snapdragon 835 inside simply screams – PLEASE use me for navigation. This is the best you can get on the market in terms of GPS performance chip in 2018. As mentioned before it has almost the same hardware as 5, so if you do not care about the cool looks and extremely thin bezel – you can still look around for the older version in the aftersale markets. Otherwise, you have my full support in purchasing the 5T. Even with a price tag below 200 bucks – LeEco LePro 3 still comes equipped with Snapdragon 821. As far as it goes for navigation – it is a perfect budget phone. Great screen, comfortable grip and well above average built quality. It has gathered loads of positive reviews on Amazon and other marketplaces. However, many of the 3 star’ers complain about the software customization and out-of-box pre-installed apps being “crap”. I have to admit, this is not the best experience, but as long as you do not upgrade to Android Nougat 7.0 the phone is still usable and does an outstanding job for the price (4GB RAM is really not enough for high-demanding apps and games for sure). People tend to sayyou get what you pay for. LePro3 does not follow the rule is truly is a bargain with exceptional internals. 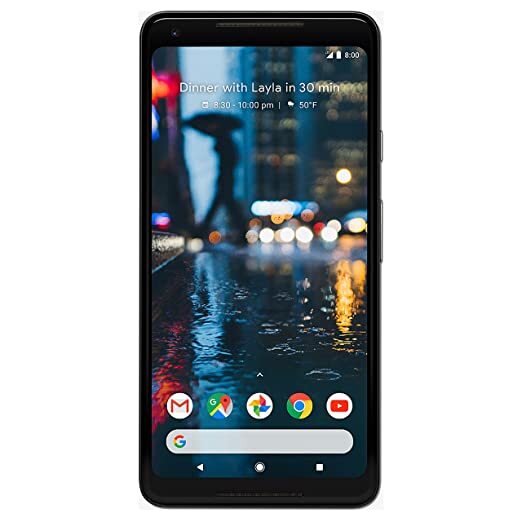 Pixel 2XL is a superior phone. Superior in all: internals, built quality, screen (XL for convenience), camera (which as a matter of fact is the main selling point for this flagship phone), and of course the price. Yes, I know, it’s expensive and almost reaching the price that of iPhone X. However, it still does not cost you a grand for the exceptional performance. Currently latest Snapdragon chip equipped Google’s creation is definitely there to support you on all kinds of GPS tasks. You sure can trust it. And if you have a chance to take a picture on your hiking trip – this will surely capture those moments best of class. How different is this phone from the rest? the most obvious difference is the price tag. Just over 200$ – how’s that value for money. Ok, it does come at a cost of having a mid-high end chipset, but hey, it’s a Snapdragon! Plus it is actually less energy hungry than the praised Snapdragon 820 series. I personally think we should all support these smaller manufacturers which produce quality products for a fraction of the price – and this device is a great example. As the name suggests – this smartphone is designed to perform. Only consider this particular modification as others run Snapdragon 650. It’s because it does not have BDS support nor is known for being very great navigator. It’s counterpart 820 is so to speak “the king of the castle”. Only concern here – battery size. It rather small for a powerful device as this so if you are planning on using your GPS for longer periods without charging – consider investing in a powerbank. However it has an appealing side as well – scratch and water resistance. 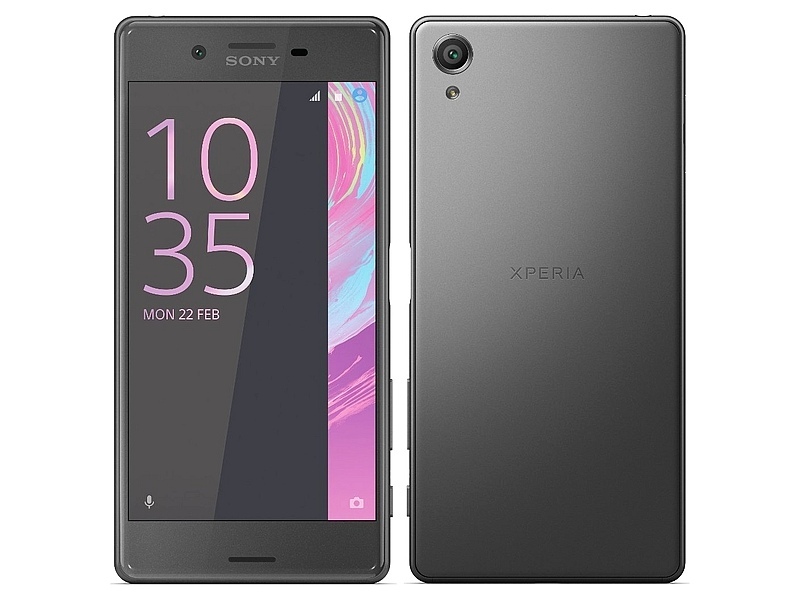 IP68 rating indicates that your this Xperia X is completely dust proof and can survive under water – good deal for hikers and travelers. Motorola has really done a good job marketing their latest MOTO Z FORCE. In addition to having a great AMOLED screen, spacious battery and great camera Motorola has also added their trademarked SHATTERPROOF protection. They even provide 4 year warranty with it from the date you purchase. Plus it’s water resistant. and even though the internals are not as well protected from shock it is a great device for rougher conditions. No BDS support but that should not be of concern, especially after having read the great reviews on MOTO Z navigation experiences. How about a FLAGSHIP for half the price? That’s what ONEPLUS offers. Just can’t stop getting hyped only by thinking of this price-to-value ratio. Fulfills all the requirements outlined above, but that’s not surprising as it is as powerful as latest Samsung or Apple flagships. There is really nothing negative one could say about OnePlus. As always, my favorite in the class. Of course, with the OnePlus 3 having been discontinued you might be considering the updated 3T. It does a later and more powerful Snapdragon 821 chipset (OnePlus 3 was equipped with the 820). However, it surely has no effect on the GPS performance. The increased power and better face camera are not worth considering to upgrade from your OP3. Yet still 3T is a great buy for under $600 price tag. Surely, you will make no mistake if you go for the famous flagships of major manufacturers as they already come equipped with latest technology. However that is an obvious choice and I have intentionally excluded them from this list. If you come across any worthy candidates to be on this list – share it with everyone in the comments – let’s make better choices together. Over. 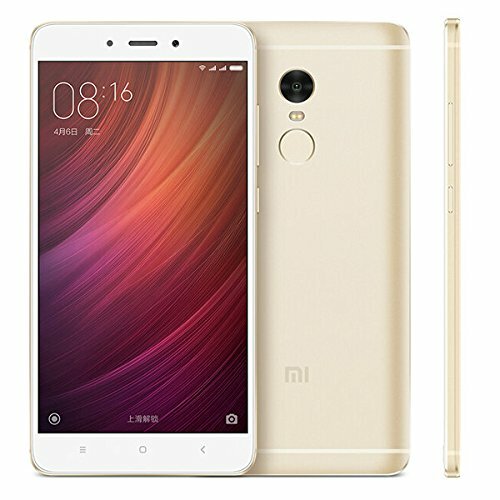 I recently bought a Xiaomi Redmi Note 4X with a Snapdragon chip and I am totally disappointed with its GPS. Most of the time it cant get a good fix, its (in)accuracy is always close to 30 mts or more, and usually loses signal and the track im jogging on. So I regret that although Its a new phone I have to leave it at home when GPS is important, and have to bring along my 4 yr old and trustworthy Moto G 1st Gen, which works flawlessly. Besides that I love the phone, although its not water ressistant nor has a tempered glass display. thanks for sharing. I’m a GPS user for almost 5 years and still my very old school phabet Cherry Mobile Radar works best with my navigation in into province such as bicol and southern Luzon Area using Waze apps.